CyberFabrica is a Web Services Providing Company based in Hyderabad, India.It is dedicated to provide the best solutions in the IT industry. We can bring your project from the story board to reality. Utilizing the latest computer technology, combined with experience and talent in a very professional manner, we are able to weave your ideas continually throughout your entire project. We tailor each project to fit your marketing and advertising needs to give you the best range and exposure of promoting your business. We specialize in Strategy, Web Design and Web Development of Rich and Interactive Web 2.0 Applications. We provide web services that helps create your company's correct brand and image to the target audience as well as bring exceptional values. We believe in providing excellent quality work which makes you earn more and gives you value for money without pinching your pocket. With our established expertise in e-culture, as one of the web design, development and marketing firm we implement a successful business solution to enhance your business model. • Enhance your business identity with a effective and SEO friendly web design. • Fortify your brand image through our legitimate Search engine marketing and ethical SEO services. • Plan, create and formulate your message to reach your target audience. • Optimize your content to earn more profit. 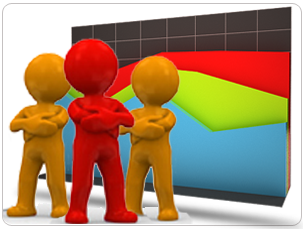 • We Provide you Stck Market Tips,so that you can trade and Earn by Your Self. • Increase your business volume. • Provide You Better Application Development and Project Assitance Services.